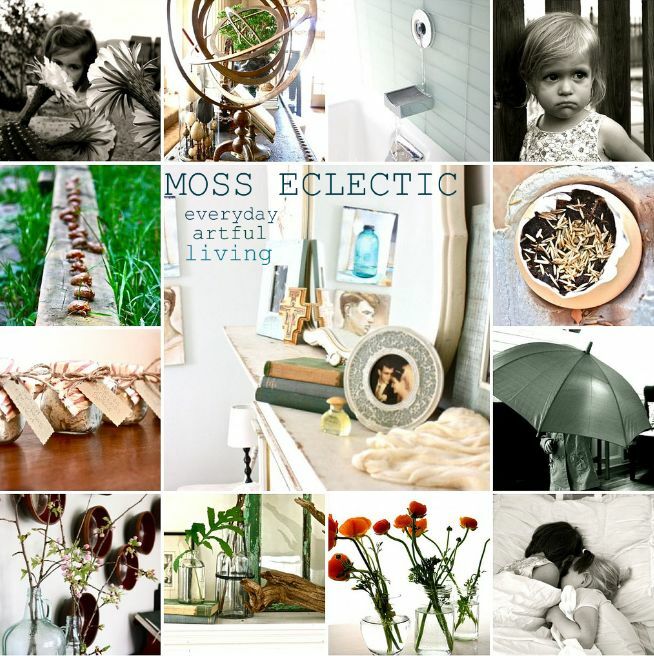 MOSS ECLECTIC: Storage...and is it really necessary? Storage...and is it really necessary? Last week was madness, and this week looks like it will follow suit. We are still recovering from the fun and frenzy of Christmas, and we've either been away overnight or hosting over night guests almost every weekend for the past few few months. All that to say, our is a disaster! Or...should I say, was a disaster! Last week we slowly tackled the piles of things that have been accumulating since Thanksgiving, and yesterday Rich and I went on an official cleaning binge! Nothing, nothing my friends feels better! Seeing the piles for weeks on end made me crazy, really crazy, but even that turned out to be a good thing because it forced me to do something about it. 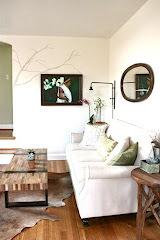 In our current house storage space is very limited, and crazy as it sounds, we've actually eliminated some of the biggest storage spaces we had to begin with. See, I'm a pack rat by nature, and I'm also quite sentimental, so given the opportunity I'd probably be a hoarder (and while I was growing up, my parents probably thought that would be my fate as they witnessed my ever-growing collections of old rusty things and broken things that I wanted to "fix up"). But given the lack of storage in our new house and my utmost desire to have some semblance of peaceful order in my home, I've had to change. It is a slow process, but we're getting it. If we had deep closets, a pantry, or some fabulous basement storage space I'm sure they'd all be filled to the brim with forgotten stuff. But as it is, with very few places to shove things accumulate (sometimes to the point of overwhelming me), but I have to do something about it. It's almost not a choice. Reflecting on this, I wrote an article for Apartment Therapy last week on the topic which you can check out here. 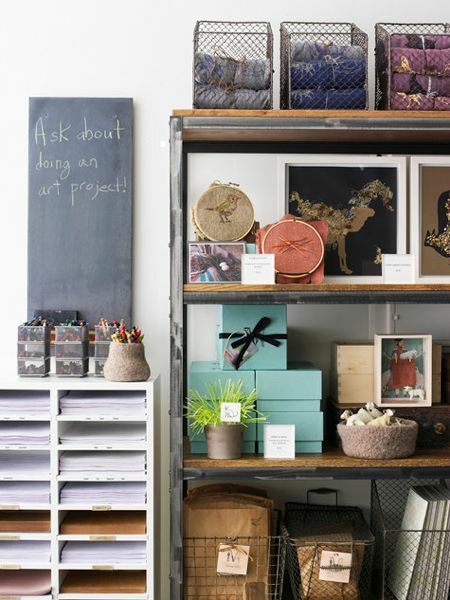 The bottom line was that "in short, lack of storage has forced me to finally get organized, think more aesthetically, and be a little more creative...or at least be more aware of the need to do so." My dream has always been to live in a way that requires little storage, too. Usually, I prefer getting rid of things to storing them. BUT...I have yet to pull it off! When I moved into my condo, I lost storage space equivalent to a 2nd bedroom. It was painful but it did force me to purge. Things I held onto for years suddenly became less important. Although, I REFUSE to give up my shelter mag collection! 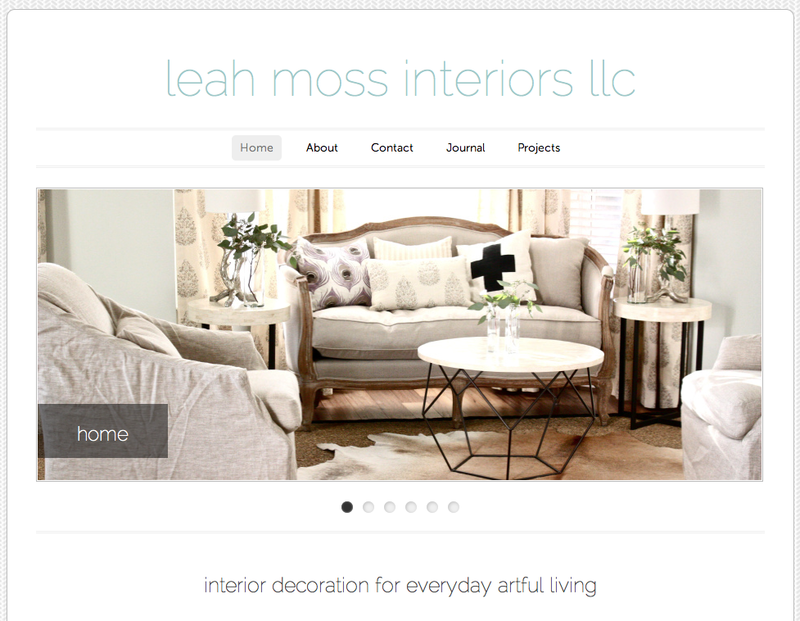 Oh Leah, I feel you so much right now. Being a pack rat myself I find it so hard to get rid of things and yet so good when I do. Why does more useless stuff continue to gather in my house? I have boxes upon boxes of dolls and girl toys in our storage room that may never get used, but I have to keep them just in case. The storeroom in general has just become a place to throw stuff lately. Just tonight while all the boys in my house are sleeping I got a chance to clean my house and begin to sort off my mess of a desk. The Holidays are killer on getting backed up on everything and with a new baby I am so backed up! I am sure your nesting instincts are wanting so much for things to be organized before that little man comes. There's no better motivator to get things done than a baby on the way. I am going to go read your article now for more advice. I live in a what you call a "cozy" apartment in San Francisco, with my husband and a six months old daughter. Now that we have this little darling in our house, not only do I have baby stuff literally everywhere but finding storage space is next to impossible! It's been driving me crah-zy! Agreed. I have the most space I've ever had right now and I don't have to think about organization as much as I used to when I lived in smaller places. It's both a good and bad thing. ;) BTW, I'm trying my hand at your DIY pendant - I posted about it today. Thanks for the inspiration! Somehow I've managed to fill every cabinet and closet in my home...trying my best to make this the year of paring down! !